Most Of America’s Terrorists Are White, And Not Muslim | HuffPost Right-wing terror is real, and it’s a problem. 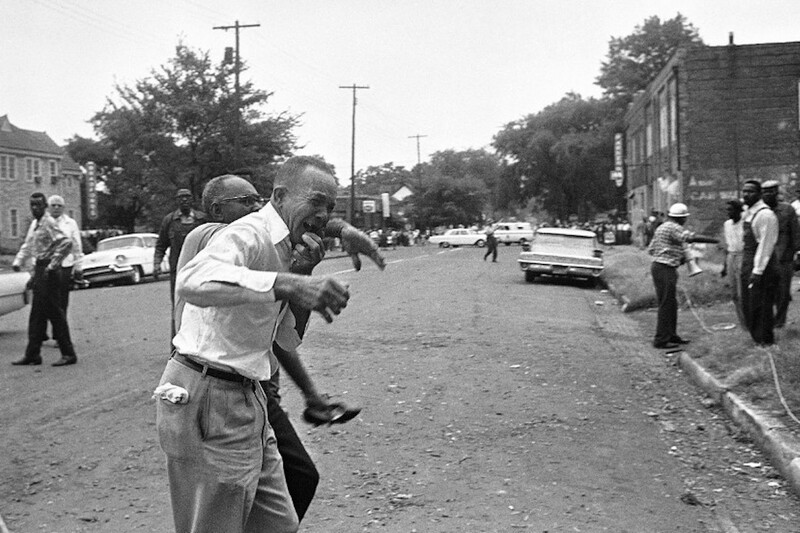 A grieving relative of one of bombing victims in Birmingham, Ala., Sept. 15, 1963 at the Sixteenth Street Baptist Church is led away after telling officers that some of his family was in the section most heavily damaged. Man just in back of him is holding a shoe found in the debris. At least four persons were known to have been killed. Image Credit. AP Photo.